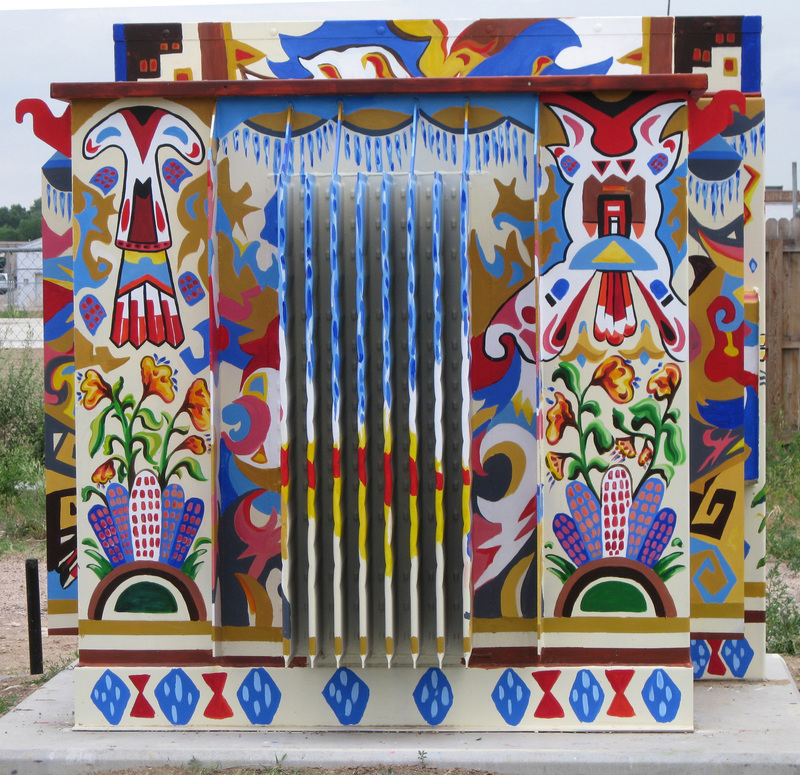 The theme of this mural is “Rainmaking.” The images are drawn from Kiva Murals located in New Mexico. 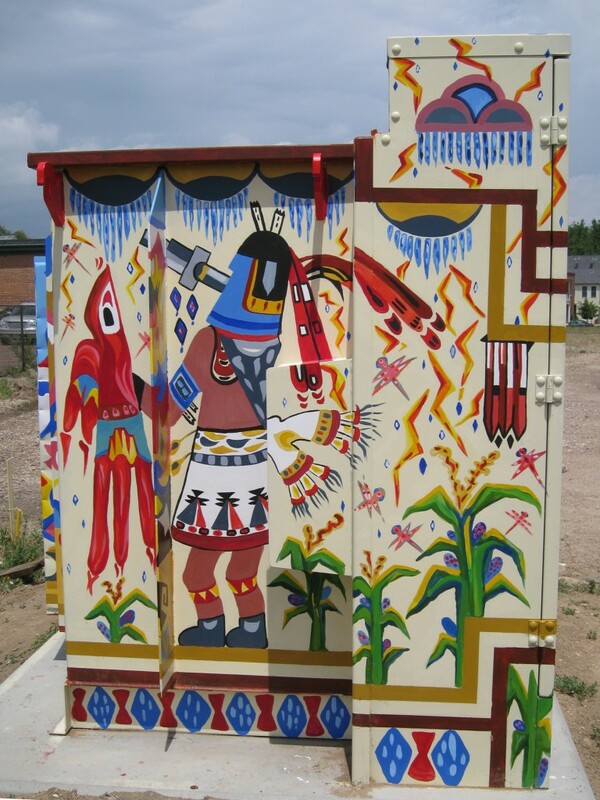 The murals were painted approximately 600 years ago by the Ancient Puebloan People. 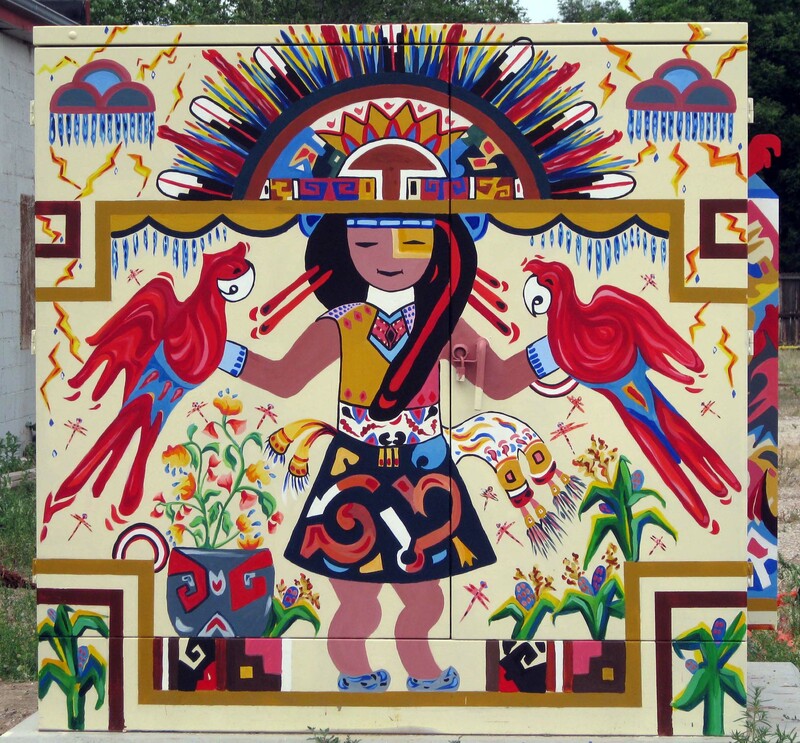 The artists who created the Kiva Murals used symbols representing scarlet macaws, rain clouds, lightning, and dragonflies to depict rainmaking activities that took place in the kivas. They also painted large abstractions of these symbols. The scarlet macaws represent the south and the sun which, along with the rain, made the corn grow. Like humans, the dragonfly and the mosquito need rain to prosper and play an important role in “Rainmaking.” The Butterfly Maiden, Cloud Blower, & Mosquito Man play important roles in bringing rain to the people. This entry was posted on October 22, 2011 by Mary Harnett. 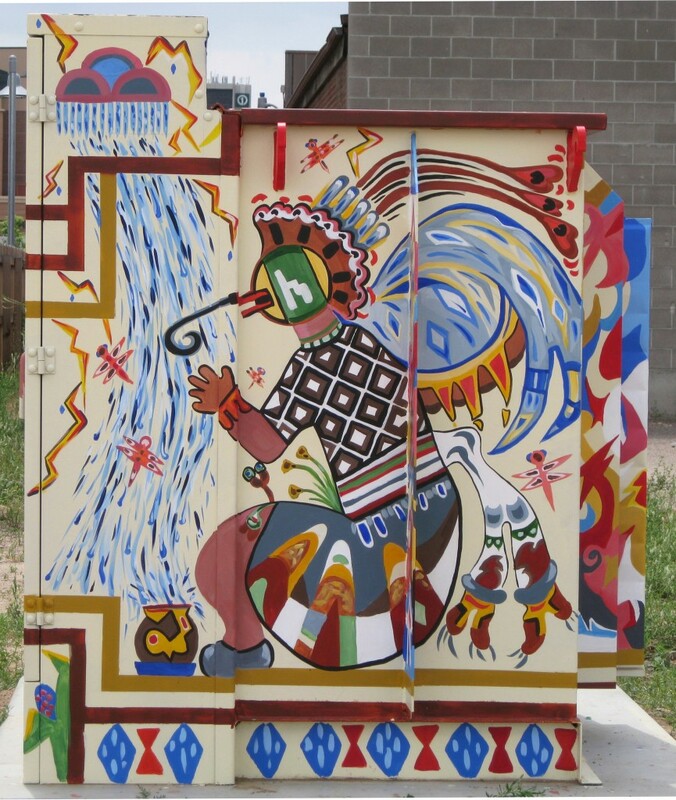 It was filed under Abstract, Public Art, Southwest and was tagged with Art in Public Places, commissions, murals, soutwestern.